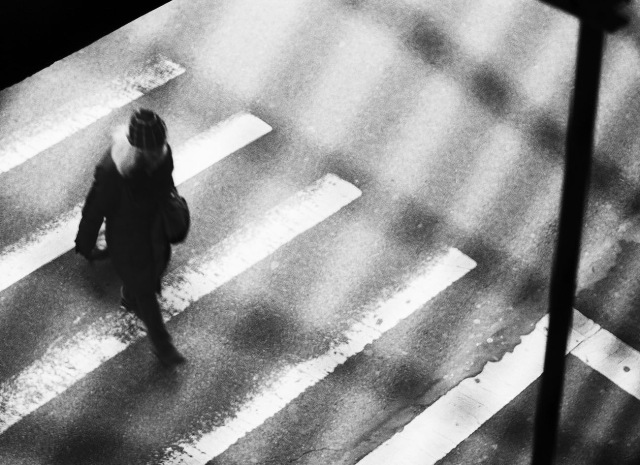 Fans of our friend Michael Benari are sure to be looking forward to March this year, as Benari will be releasing a new book, titled Grey.Many of the images in this book fall into the genre of “street photography”. Many of the images in this book fall into the genre of “street photography”. I specifically use the street as a source of inspiration for discovering new ways of creating a visual experience. I think of the work as closely related to certain artistic traditions in painting and feel a close connection to everything abstract that has come before me. At the same time “GREY” is a collection of visual experiments, forcing me to push the limits of perception, and discover new ideas and new forms in the process. Our visual experience today is already saturated with so many accepted notions of beauty that looking to re-shape those assumptions becomes the real challenge for today’s artist. The “street” becomes a kind of outdoor laboratory in which I can still find the chance-encountered visual surprise that helps to re-orient my own perceptions and those in my work. Inasmuch as each image is its own resolution, the entire series of images reflects an on-going process of exploring an unknown terrain waiting to be discovered. Also on the horizon will be a new show in Boston, MA, at 555 Gallery. Stay tuned for more details and images from the new book and exhibition. 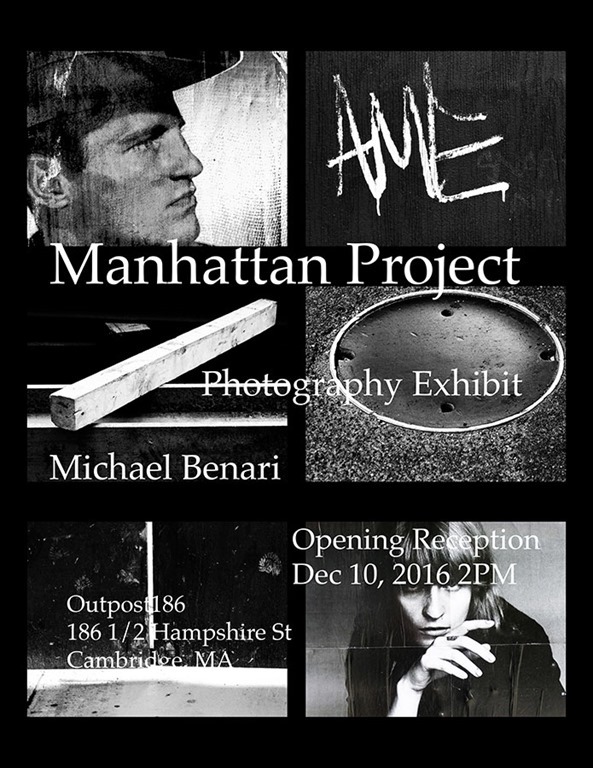 Preview: “Manhattan Project” Photographs by Michael Benari, Outpost 186, Cambridge, Mass. In his new body of work titled “Manhattan Project”, the artist Michael Benari captures the unique mood and aesthetic of an invisible New York, presented as a mosaic of grids. The rhythm and tempo of the grid format resembles a jazz improvisation, a cacophony of sounds blaring the urban landscape. The film-noire atmosphere resonates with other artistic movements born in the city, Abstract Expressionism and Minimalism. Manhattan Project was completed after photographing New York from 2014-2016, and is accompanied by a publication of the same title. 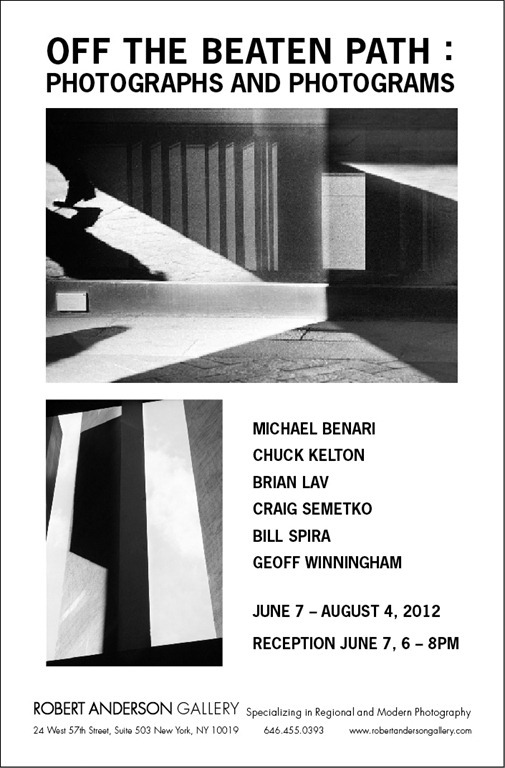 Michael Benari is a Boston/New York based photographer, working in black and white, using film and digital capture. Michael Benari was born in Tel Aviv, Israel, and subsequently grew up in New York City. Benari’s professional background is in science and medicine, but from childhood days, he was fascinated by imagery and cameras. Michael Benari has exhibited domesticaly and internationally. “Photography is my way of being in the world, it allows me to give personal expression to my living experience, and it connects me with a long and beautiful artistic tradition”.
" In his new series “Manhattan Project”, the artist Michael Benari offers his unique interpretation of the New York City urban landscape, captured from 2013 to 2015. Drawing from various artistic traditions including Abstract Expressionism, Surrealism, and Conceptualism, this body of work fuses these approaches into a complicated web of dramatic black and white images. In this collection of photographs, the artist finds new expression using the grid format, combining a set of six images into a singe print. This presentation expands the traditional single image format, and offers a uniquely fresh form of expression." "Manhattan Project" is available for viewing at http://www.redfiltergallery.com from September 1 through September 30, 2015. In March 2014, a photographer-friend and I traveled to Havana, Cuba to see for ourselves how life goes on here and what surprises await us. It was our first visit and it did not disappoint. One is immediately struck by the want, the crumbling buildings, the dilapidated cars and at the same time by the defiant resolve to survive and find joy and pleasure despite it all. The people are full of talent, soul,and character, but just locked out of a chance to blossom and shine. As usual, I was shooting in black and white, and for the first time regretted notalso shooting in color. The colors are so rich and varied.I produced a body of work I called Viva Viva, to celebrate the life-spirit on this isolated island. The portfolio is a set of 36 silver-gelatin prints and the book is a limited edition of 200, numbered and signed. Books and prints can be purchased by contacting Michael Benari at info@benarifoto.com. One of our favorites, the artist Michael Benari has published a meaningful and well executed new photo book titled “SHOAH”. 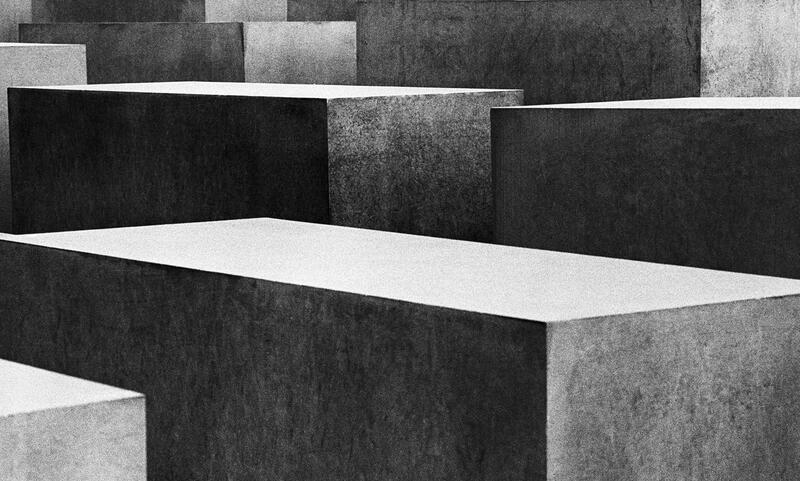 The book contains nineteen duotone images of the Berlin holocaust memorial, photographed in 2012, and is a limited edition of 300 copies. International Center of Photography (www.icp.org) bookstore in New York. One of our favorite urban explorers, Michael Benari has a new show with several kindred spirits at the Robert Anderson Gallery in New York. Michael is excellent at defining city street scenes using shadow and light that results in varied subtle abstractions infused with cool emotion. “Kind of Blue” features the work of artist Michael Benari. With a background more accustomed to science and medicine, Michael Benari has always been enamored with visual imagery. Photography in particular is a lifelong avocation of his, now a full time career since 2006. Born in Tel Aviv, Israel and raised in New York City, Michael pursued his study of photography at the New England School of Photography and has attended Maine and Santa Fe Media Workshops. He has also studied with Karl Baden at the Project Arts Place in Cambridge, Massachusetts. His photographs have been shown in multiple exhibitions and are placed in private collections throughout New York, Massachusetts and Australia. Michael Benari’s poetic work poses visual “questions” about the cities he has visited, without offering specific answers. He offers glimpses of everyday life in ephemeral but “decisive moments”. His poetic style contemplates the life within the cities he has visited: New York, Paris, and Rome, all the while invoking a freestyle spirit where beauty can be found in both abstract and subjective forms. 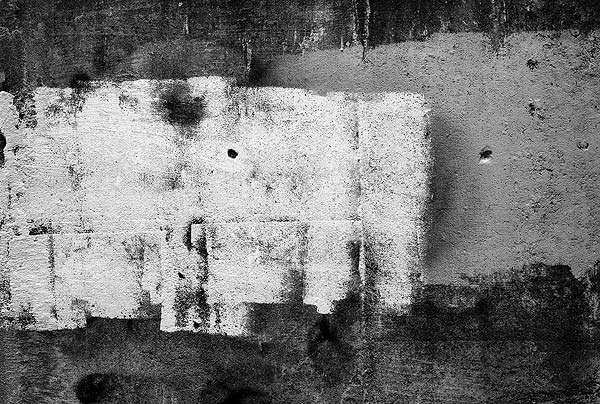 Red Filter Gallery is is affiliated with this website. While at Photo LA earlier this year, we had the privilege of meeting Michael at the portfolio review. His were the most striking prints at the review, especially his Siskind like abstracts. Unfortunately, screen displays do not do the prints justice. comfortable communicating in this language than in the language of color. I am a pretty competent digital printing, but for final results (sales, shows) I rely on the technical expertise of my printer Singer Editions, with whom I share an aesthetic understanding. My goal is to continue to explore the urban landscape of different locales, and to explore the endless mysteries behind the obvious.